Mr. Jihad Shoja’eyeh started working in 2002 as a facilitator for youth groups in several camps with the Palestinian Ministry of Youth and Sports. His passion drove him to participate in youth institutions, international, regional and local conferences focusing on youth work and development. His most important achievement is the foundation of “Youth without Borders Network”. The number of participants today is more than 5,240 Arab youth, making it the largest youth network. This network provides invitations for conferences, trainings, and scholarship programs. Jihad Shoja’eyeh has worked in a number of institutions: the Youth Sharek Forum, the Center for Continuing Education of the University of Birzeit, the Center of Democracy and Human Rights Shams, the Center for Psychological and Social Guidance Aman and the Central Election Commission. He also consulted with a number of international institutions, notably the developmental German Cooperation “GIZ”. In 2007, Shoja’eyeh participated in the Youth International Conference in Sharm Sheikh and in 2008, the third Arab Youth Conference “Activating Youth Turn in Media. ” In 2009, he cooperated in the drafting of the final report on the Arab youth’s life in Jordan and with a group of Arab young leaders he was part of the Iraqi Youth Parliament opening. In 2006, he attended training on Sustainable Development with Euro-Med in Cyprus. Moreover, Shoja’eyeh participated in the 2009 “Feker 8” conference in Lebanon, and in the 2011 “Feker 10” conference in Dubai. Jihad Shoja’eyeh was awarded the Synergos Prize of Social Leadership in the Arab World for his “From Student to Student initiative” aiming to fight poverty through education. He also received the “Ashoka” fellowship in 2011 for the same initiative. Additionally, his story collection entitled “Awraki” has been published with the Cultural Resource Institution in Egypt. 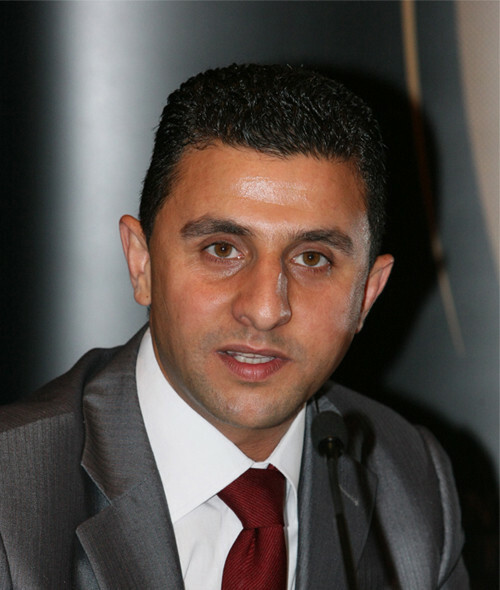 He is also active in several Palestinian youth institutions as one of the trainers in the field of youth development. Shoja’eyeh was born in Amman, Jordan and later on moved with his family to the occupied Palestinian territories. He holds a Bachelor Degree in Sociology and Psychology from Birzeit University as well as a Master’s Degree in Social Statistics and Quantitative Research. Shoja’eyeh holds a number of certificates in critical and creative thinking, advanced leadership skills and team building, the formulation of scientific research and management skills.